Winter is here! Since so many of my family and friends are about to face blizzard conditions I thought today would be a great time to share some beautiful crochet snowflake patterns. 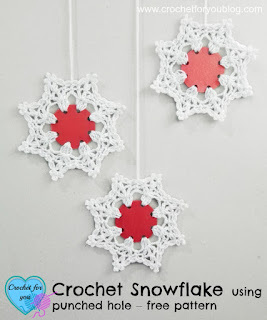 (Snowflakes aren't just for Christmas!) I hope everyone stays safe and warm and gets some extra crochet time this weekend. 1. 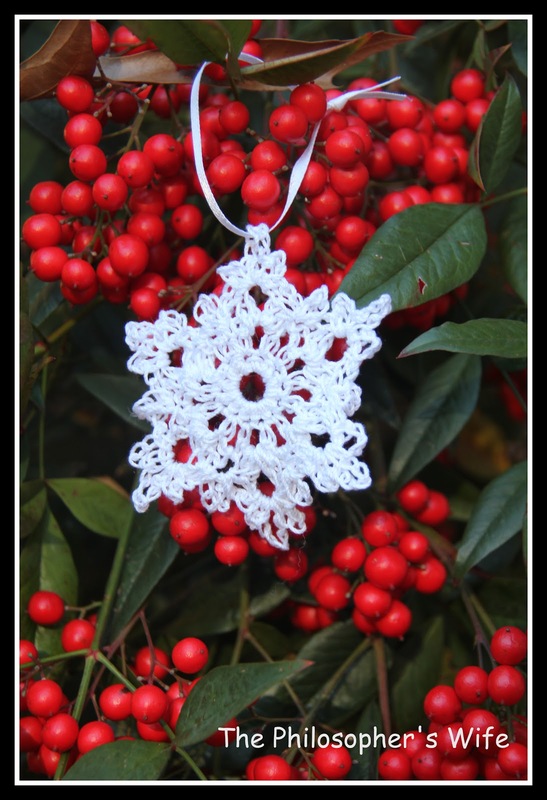 This Pretty Picot Snowflake Pattern by Petals to Picots really is stunning. 2. This Snowflake by Crochet for You is unique because the center is a piece of cardboard. 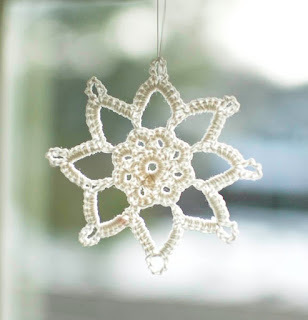 I think that this could be a special way to recycle Christmas cards! What do you think? 3. These Snowflake Coasters, by Charmed by Ewe, while great for Christmas, would also work all winter long. What color would you use for the center? Silver? White? Blue? 4. 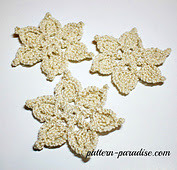 Worsted weight yarn works beautifully for these Snowflakes by Pattern Paradise. 5. I love this Dainty Lace Snowflake. That center is adorable! 6. 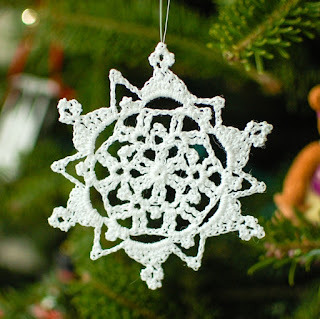 Grandma Jennies Snowflake Pattern is yet another beautiful work of art from Petals to Picots. I love the vintage feel to this particular pattern. 7. 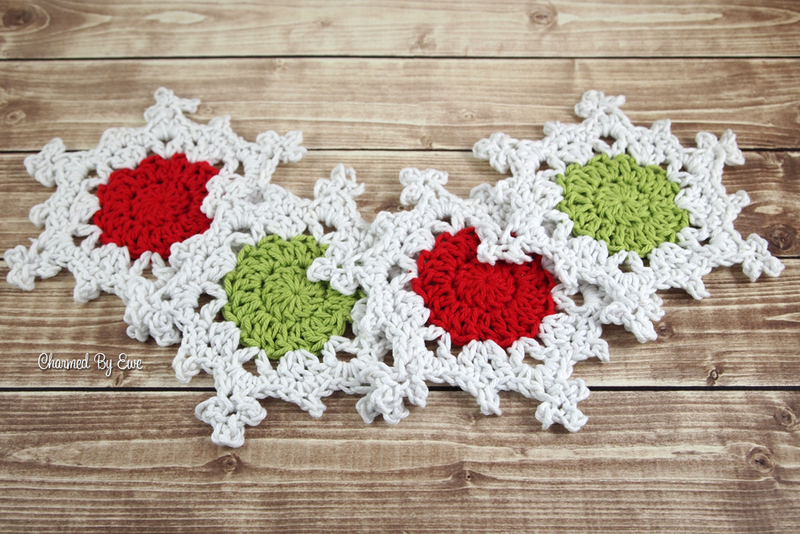 One of my absolute favorite crochet snowflake patterns is this one from Red Heart. I've made it so many times! 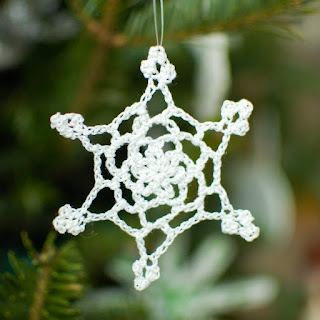 I especially like it in crochet thread. Pictured is one that I made years ago. 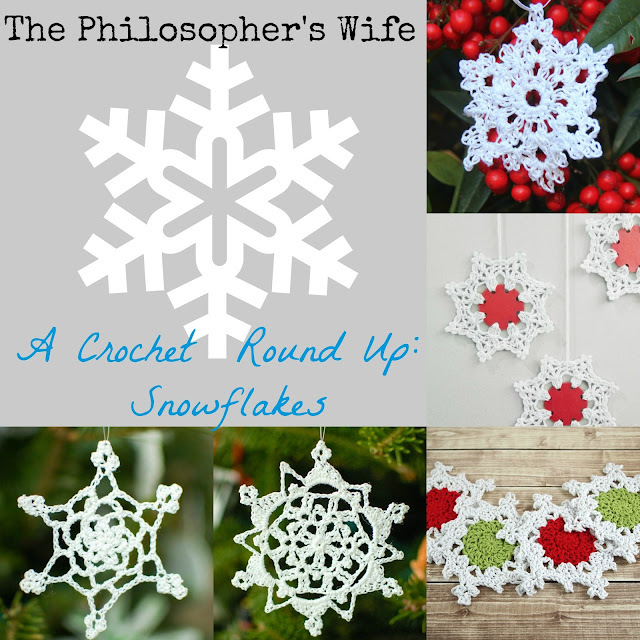 Do you have a favorite crochet snowflake pattern? Have you made any of the ones listed here? How is your weather this weekend? 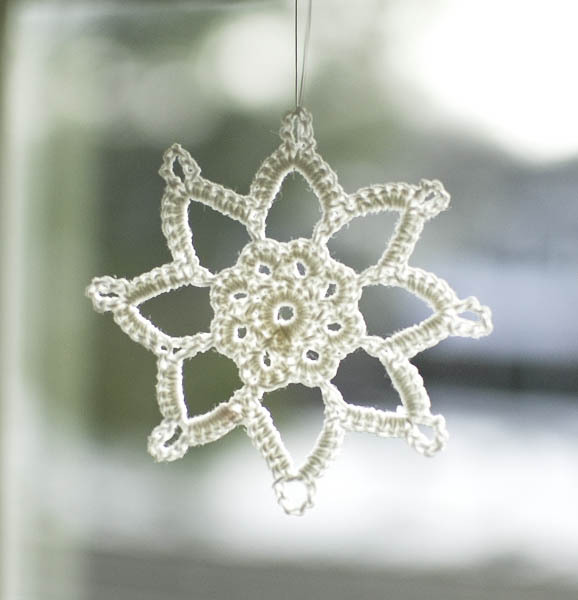 Don't forget to link up to this month's Yarn Fanatic Party and enter the giveaway! I listed 7 things, so I'll like up over at 7 Quick Takes. Thank you for the patterns!